​Established in 2007, Pirana Grille is Ormond Beach's favorite local hangout for everything sports. With 30+ TV's in house, we're sure to have the game/match/race that your looking for! Voted best burgers in town, Pirana Grille has a diverse menu of items to satisfy your taste buds for lunch, dinner, and anything between. Open 362 days a year from 11am (12pm on Sundays) until 2am, we're known for our friendly servers, great service, and good times! 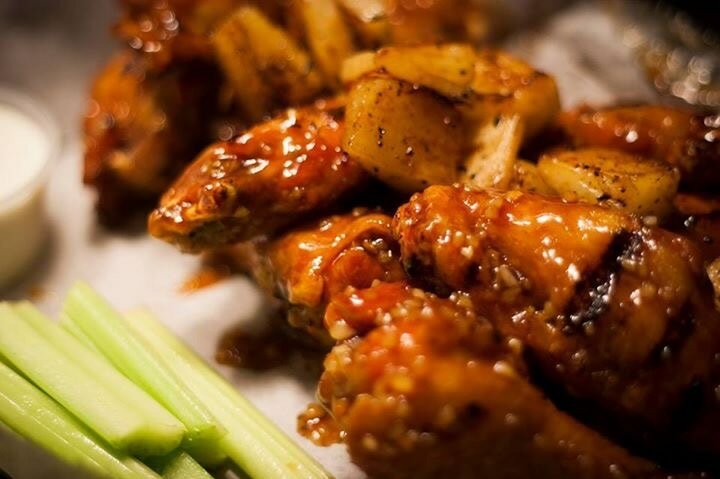 From our delicious peel & eat shrimp, to the best burgers and wings in town... Take a look at our huge menu! With a great selection of draft beer and a full liquor bar to help quench your thirst, keep yourself updated on drink specials! Tons of TV's showing EVERY football game EVERY Sunday and regular live music on our outside stage. Check out our monthly schedule!